Midnight Rises, My Graphic Novel, Out NOW on iOS! 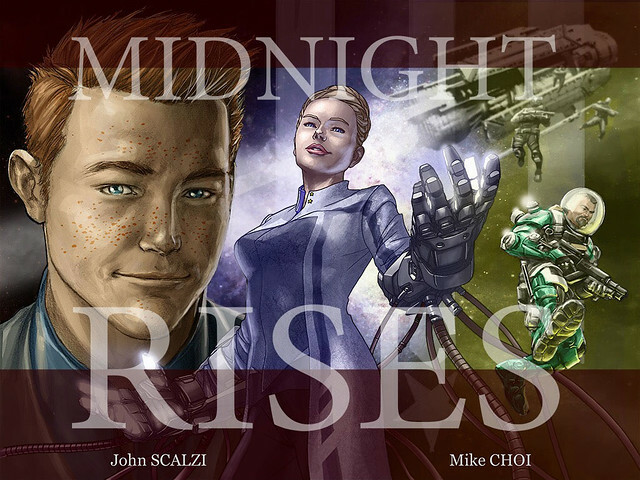 Today’s the day: Midnight Rises, my first ever graphic novel, is out today, for iOS devices, via a downloadable app. 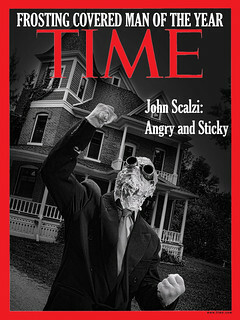 I wrote it, and Mike Choi illustrates it. It also includes music by Serj Tankian (System of a Down). The first chapter of the graphic novel is free, with the subsequent two chapters available in-app for just 99 cents (and for fans of Mike Choi’s fantastic artwork, alternate covers are available for $1.99). I’m super proud of it, and of the world it introduces, which will be further explored in the video game Midnight Star, which debuts very soon. But Midnight Rises doesn’t just introduce the characters and situations of Midnight Star — the choices you make as you read Rises influence what happens for you in the game. You have questions. Let me answer them. What’s going on in Midnight Rises? It tells the story of Charlie Campbell, the character you will play as in Midnight Star, and the crew of the science vessel Joplin, who support Charlie and share their knowledge and skills with him. 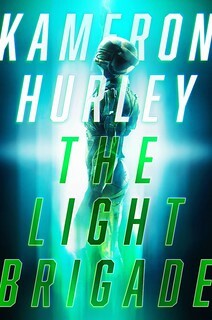 Before the events of the game, Charlie and the crew have another adventure — a race against time to solve a mystery involving the Joplin and a shadowy group that will stop at nothing to disrupt the ship’s mission… a mission that could change humanity’s understanding of its place in the universe. Why is Midnight Rises its own app, and not in one of the online comics stores? Because Midnight Rises was designed from the ground up to take advantage of the mobile computing interface and all the things it can do. We’re not just talking about “motion comics” — we looked at all the advantages the mobile platform could provide us for visual storytelling and baked that into how we designed the graphic novel. Which meant giving Midnight Rises its own app — its own environment to do everything it can do. 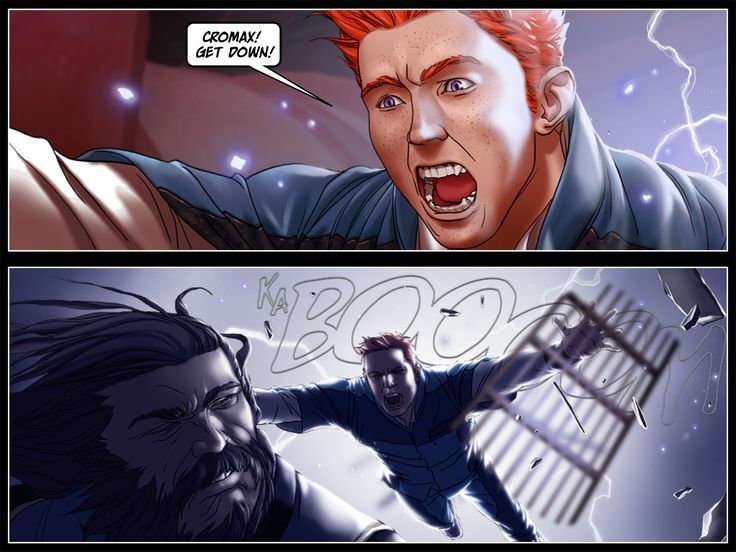 What do you mean that choices you make in the graphic novel influence the game? This is one of those “capabilities of the mobile platform” things — In the story we’ve put places for you to explore and to make choices for Charlie Campbell. If you play Midnight Star, the game will talk to the graphic novel, see the choices and explorations you’ve made, and tweak things in the game to reflect those choices. There’s no downside to any exploration — you’re not penalized for one choice or another, including the choice to simply read through the story. It just means that when you play the game, it’s personalized for you. Which is kind of cool, and again, something that reflects that both the graphic novel and the game are built for the mobile experience, not just on phones and tablets. Why make a graphic novel at all? When we did the initial worldbuilding — me and Alex Seropian and Tim Harris and all the folks at Industrial Toys — we knew that we were creating more than we could put into the scope of a single mobile experience. The motto of Industrial Toys is “Mobile to the Core” — and we didn’t see why that motto had to be confined to video games. We wanted to give people more things to explore in this universe we created. So when we started developing the game, we also started developing the graphic novel. Which is to say one was not the offshoot of the other; they were developed concurrently, with each informing the development of the other. Also, personally, I’d never done a graphic novel before, and so this was a chance to try something new, with folks who knew what they were doing. Mike Choi in particular has tons of experience in comics and graphic novels. There’s a special joy in working with people who are at the top of their games. Do you have to read Midnight Rises to play Midnight Star? Nope. We designed both Midnight Rises and Midnight Star to be unique standalone experiences. You don’t have to experience one to enjoy the other. That said, if you experience both, you know more about the universe we created, and the characters who live in it. Like I mentioned before, we did a lot of worldbuilding. I think you’ll have a blast exploring both the graphic novel and the game. When will Midnight Star be available? Soooooooooon. I’m waiting for clearance to tell you the exact date. But! Soon! Any other thing you want to tell us about Midnight Rises? One, that as a project I rank this right up there with one of my novels, in terms of its importance to me — this is something I’ve been working on for a couple of years now, with Mike and with the whole Industrial Toys crew, so finally having it out in the world is something that makes me very happy. Two, if you have an iOS device, please download it and check it out! As noted, the first chapter is entirely free (and the two subsequent chapters are pretty cheap!) and the more people who download and experience it, the happier I will be. Three, please feel free to tell every single person you know about it. It’s fun and it’s cool and I think people are going to love this story. Let them know! And thank you. Four, it’s been an honor and a privilege working with the Mike, Alex, Tim and all of the Industrial Toys crew on the graphic novel, and also on the game (which I did a lot of work on too, but more on that… later). Midnight Rises is Industrial Toys’ official first release, and I’m delighted that something I wrote gets to carry the flag for the company. They’re good people. So: Midnight Rises! Out now! Check it! And thanks.